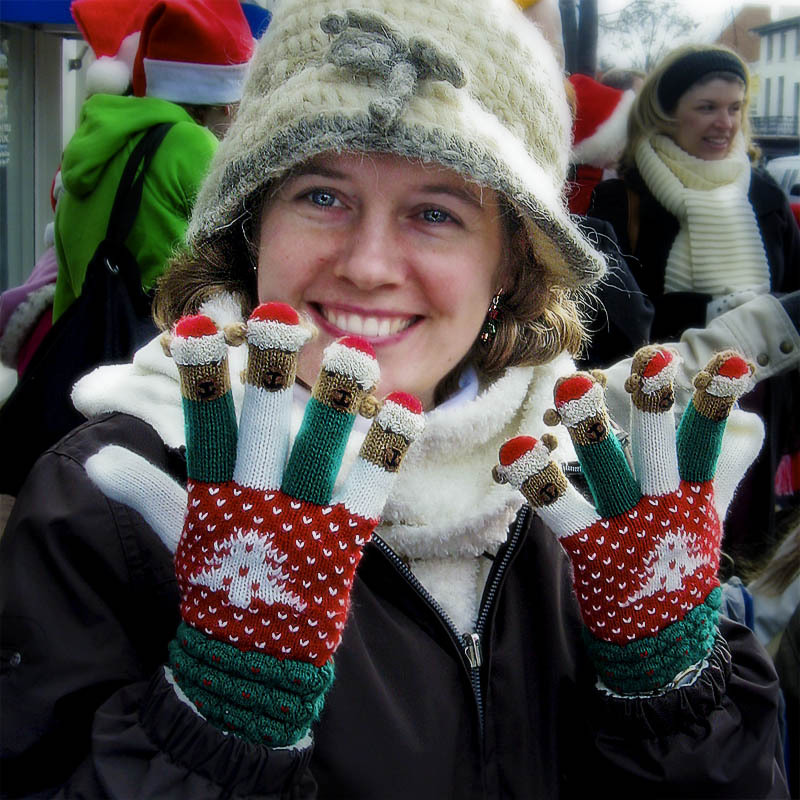 This was taken of my friend from college who invited our family to the Warrenton Christmas Parade last year and then Hot Cocoa and lunch after wards. She lives on Main Street so we didn't have far to walk�and it was COLD outside! Today we are neighbors. Very interesting subject of your photo. It also knew the parade. I have learned something new. Excellent player with excellent details. What wonderful eye glow your collegiate friend has. And those gloves are certainly appropriate for the occasion. Glad to hear a good time was had by all. Careful with your back in shoveling the snow. What a positive energy! What a smile! It's wonderful to see this photo. I like this attitude and her eyes sparkling. Perfect timing for this moment of daily life. Great pov and colors for this happy mood.